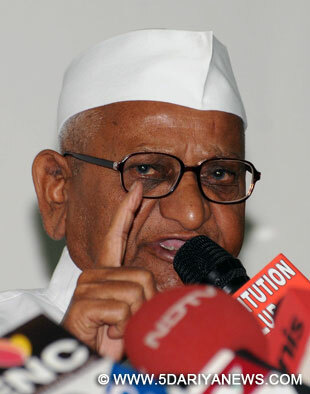 Social activist Anna Hazare Sunday said the government should pass the Lokpal Bill in din if needed.Hazare also said the session shouls be extended if needed to pass the proposed legislaion. "I would say if some parties are creating ruckus, pass the bill in din... so many bills are passed in din," he said. "If needed, government can also extend the session," he said.Asked about Arvind Kejriwal's comment that he may not be aware of the provisions of the bill, Hazare said: "I have read the bill, maybe he has not read the bill".Thed Lokpal bill, which has been passed by the Lok Sabha and majorly amended by a select committee of the Rajya Sabha, was tabled for debate in the upper house Friday. The bill, once passed by the house of elders, will be sent back to the Lok Sabha for its approval again.The government has said it is committed to passage of the bill in this session, which ends Friday.